Rakete 7 uses the Physical Web to make location-based digitization easy for everyone. The Physical Web is one of the easiest and most affordable methods of digitizing a location, expanding the reach of businesses who might otherwise be unable to invest in proximity technology and users who may not have downloaded a specific app. There are many ways for a business to interact with customers, and proximity technology adds an incredible new layer to this mix. With proximity data, businesses can offer indoor navigation, location-specific offers, and other opportunities that genuinely benefit users. However, even with the right intention, it isn’t always easy to reach those customers. Apps can be expensive to develop and require every user to download and then use the app in order to get any value. As a result, there are many missed opportunities for businesses and users alike. How can the two connect without the burden of an app and active app usage? The Physical Web. The Physical Web is able to connect mobile phones with the connected world around them with next to zero hassle. Rakete 7 built Substance, a Physical Web platform that makes it easy for businesses to build and style pages, administer POIs and beacons, and analyze access numbers. Thanks to the Physical Web, the software enables the easy use of image, video, text, and sound elements as well as mobile payment, surveys, newsletter subscription, and other tools that were previously bound to a particular app. The city of Lindau in Germany wanted to share information with tourists to make their travels more exciting and hassle-free. However, the goal of making important sites easy to find and maneuver would be difficult to achieve. Like many cities, they were wary of putting down too much money on a costly app, and they weren’t sure how to get their solution in the hands of users. That’s why Rakete 7 leveraged the Physical Web to power Lindau’s regional tourism project. By equipping top sites with beacons and connecting them with Physical Web pages, tourists can explore the city with only a smartphone–no special app required. 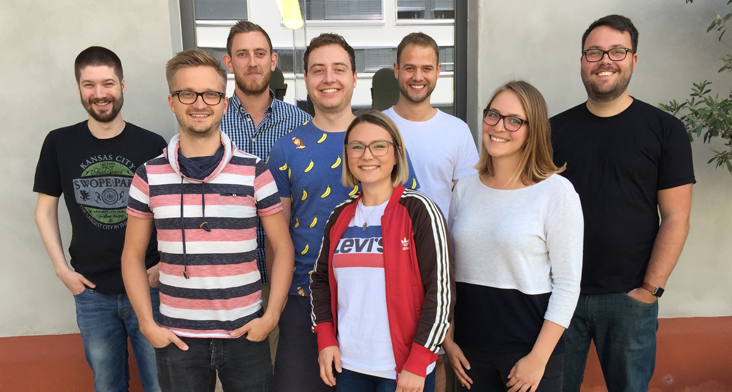 Using incentives and a powerful launch announcement, the Lindau campaign kicked off with a bang and sees regular user interaction and growth every day.